In this post we hear from Peter Rainger, Chief Learning Officer at Fundamental Surgery, and get his take on common challenges that face residency programs. And whether VR simulation can help solve them? As we have been demonstrating our VR solutions in leading hospitals across the U.S. – including the Mayo clinic, with whom we have today announced a joint development program, we have been listening to residency directors about the challenges that they face in their programs. We have captured these challenges and listed five common ones below, and thought this may be of interest to you and your team in the residency program. 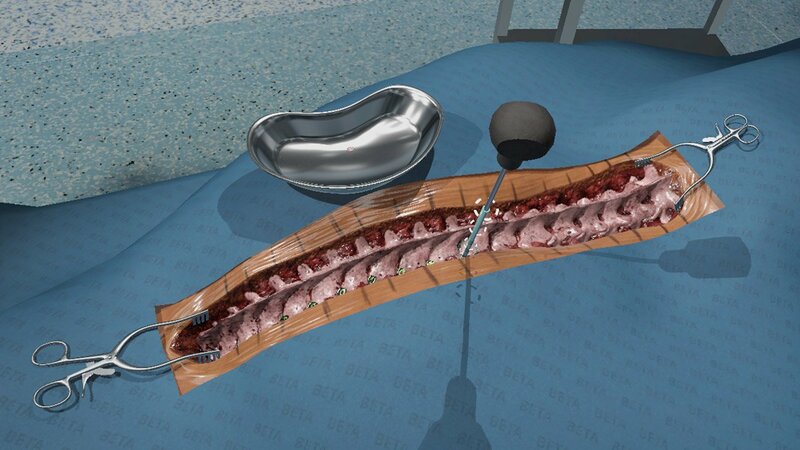 Fundamental Surgery’s Chief Learning Officer, and education lead on our Mayo Clinic program, Peter Rainger, has looked at those challenges and shares his thoughts on how a VR platform such as Fundamental Surgery, can help with them. These are the common issues and challenges that we have heard from Residency Directors and teams across the U.S. Managing the complexity involved with delivering a residency program and monitoring the progress of trainees, often across multiple sites. Peter says, “As we know, managing residency programs is a time-consuming task and one that carries a great deal of additional responsibility. To support this, simulation platforms need to allow for easy release, administration, and management of simulations across all years of any program. We are designing Fundamental Surgery to do this. 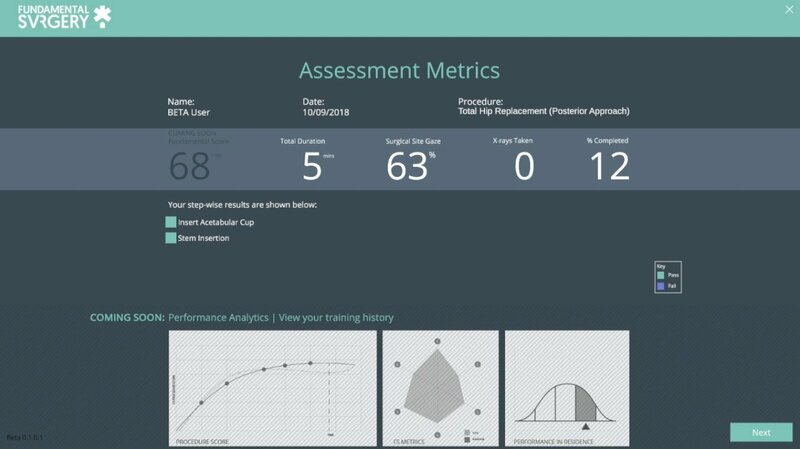 All trainee interactions within the simulations are measured, recorded, and scored by the system allowing Program Directors to gather data and monitor trainee progress at any time. “Developing residents independent learning skills is an important component of professional practice for any program, and is a key feature of cutting-edge simulation platforms. 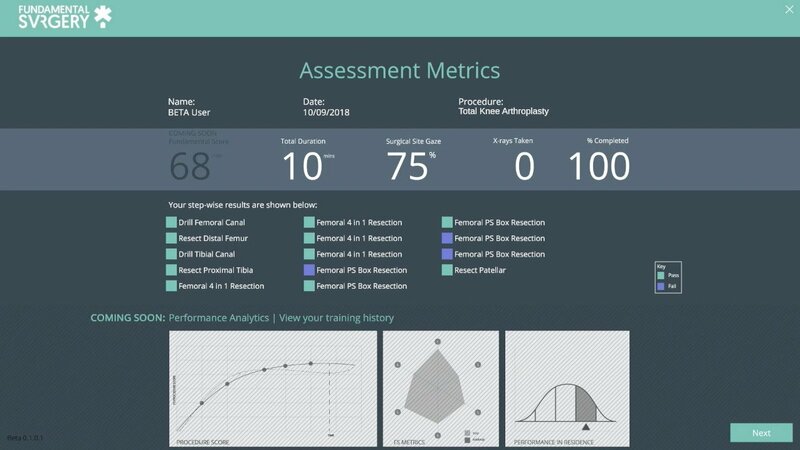 Our simulation platform facilitates effective independent learning by providing continuous feedback on each surgical step as well as postoperative summary data to aid the learner in reflecting on skills in need of development. 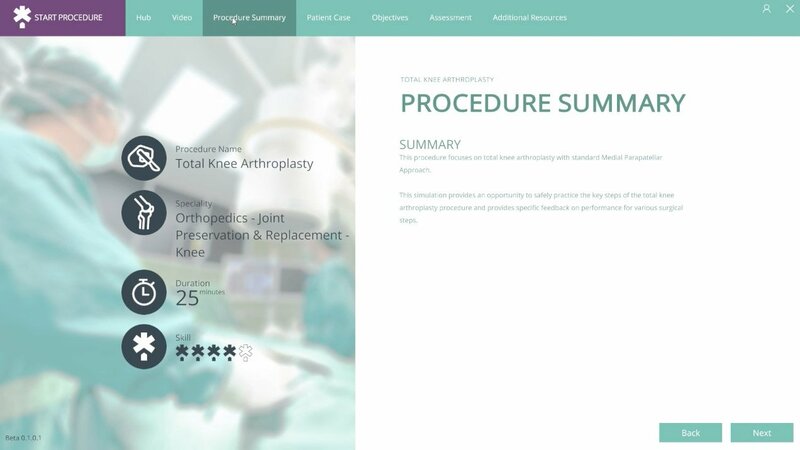 Our simulation platform can be placed within break rooms and made available 24-7 without the need for technical or clinical supervision, providing much more availability over the tradition simulation center or cadaver labs. Program directors can have confidence in our system in providing effective learning opportunities due to the quality and effectiveness of our feedback (1) with our unique haptic system, we are able to teach the actual feel of interaction with different tissue types (e.g. cortical bone vs. cancellous bone) and so provide trainees with higher level (than non-haptic platforms) multisensory cues for clinical decision making to allow for easier transitioning into the OR. (2) Objective data-driven measurements e.g. the depth of an incision or the inclination angle of a drill are all captured dynamically and presented immediately back to trainees providing more effective data-driven feedback that might be available in a cadaver lab and/or in a traditional operating room.” Said Peter. 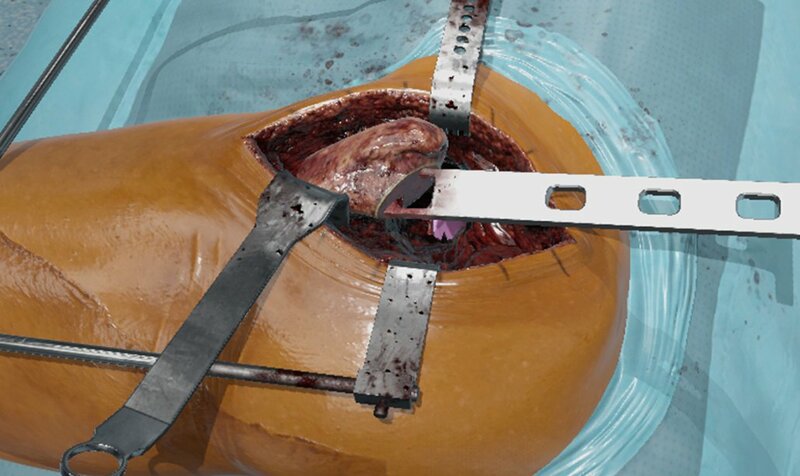 “Simulations are becoming a vital part of a modern training curriculum and as evidence of the effectiveness of simulations grows it is highly likely accreditation requirements will evolve over time to include simulations – as has been seen with the Fundamentals of Laparoscopic Surgery (FLS) course. As a software-as-a-service (SaaS) platform, it means we don’t treat our simulation as a one-time ‘publication’. We will be continuing to widen our portfolio of procedures but also striving to increase the quality and fidelity of our existing simulations with the help of residency programs across the U.S., and our colleagues within the Mayo Clinic. We are currently mapping our existing procedure to the ACGME milestones and ensuring that our future simulations have these learning objectives at the heart of our design process. Managing expectations, maintaining engagement and delivering a world-class programme on a budget. “Technology is evolving fast, as is the expectations of surgical trainees that they’ll have access to it in their training; this will only increase with the latest generation of medical graduates to enter training already being confident users of VR and other technologies. It can be challenging to stay up to date with the latest technologies with changing hardware requirements and ensuring a compelling experience that residents want to continue use to improve their skills. 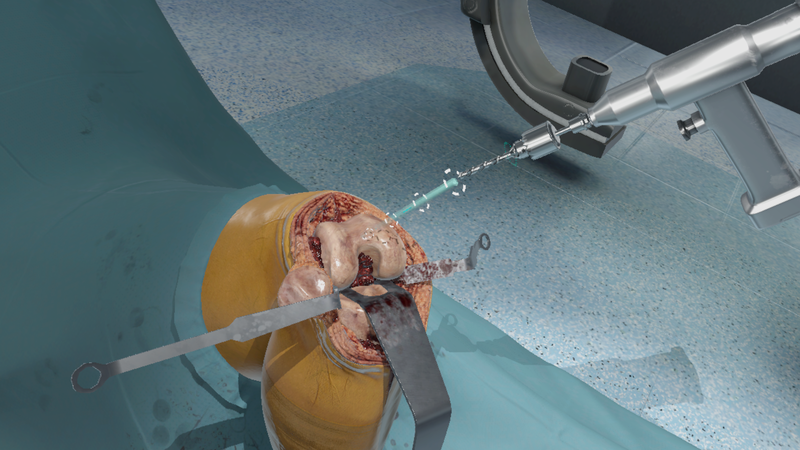 Fundamental Surgery is a subscription software platform that is hardware agnostic, you can use any of 10 leading VR headsets, and the haptic arms we recommend allow extremely realistic interaction in the simulation. Our subscription model allows you to pick and choose the simulations that are right for your program and in time bundle together sets of procedures for additional savings. Providing objective measures of surgical performance – deciding when residents are safe to take a more active role in the OR. “Measurements against OSATs, DOPs and EPAs are the cornerstone tools for providing an objective measurement of surgical performance but as we know they have their limitations. The alliance will see ourselves and the Mayo Clinic jointly develop market leading surgical VR simulation and education products. The Mayo Clinic has also been using our Fundamental Surgery platform in their world-renowned simulation centers located in Arizona, Florida and, of course, Minnesota. The agreement with Mayo Clinic will see us collaborating on a range of simulations including exciting growth areas such as robotic and patient-specific simulation derived from DiCom data and 3D modeling, harnessing many years of Mayo Clinic clinical expertise into a whole new realm of education, assessment, and evaluation. Thank you for your interest in our platform and how it can work for your program. Perhaps you have a different challenge in your Residency Program, and perhaps it’s something our system doesn’t currently help with? Please let us know and we will look at how we can adapt to fit your needs. We would really like to invite you to a 20 minute online demonstration of our simulations that Mayo are using, to which we have recently added additional learning modules. Additionally, we would like to share with you part of our roadmap for future simulations and technologies and would be interested to get your feedback and requirements for future modules.